World Parkinson’s Day is April 11. We see the disease at our Morristown Assisted Living Community. It begins with an unwanted and uncontrollable movement that affects an arm when it is at rest and stops for the duration of a voluntary movement. You feel abnormal stiffness and your movements slow noticeably. Perhaps you become less expressive in your facial expressions. You feel uncoordinated, your balance affected. Your doctor refers you to a Neurologist, who specializes in diseases and disorders of the brain, spinal cord, nerves, and muscles, including stroke, Parkinson’s disease, epilepsy, Alzheimer’s disease, and muscular dystrophy. Even if you experience symptoms common among these, they may be brought on by a completely different condition altogether. After ruling out some things, the diagnosis is reached: You have Parkinson’s disease, a chronic, degenerative neurological disorder that affects one in 100 people over age 60. While the average age at onset is 60, some people are diagnosed at 40 or younger. 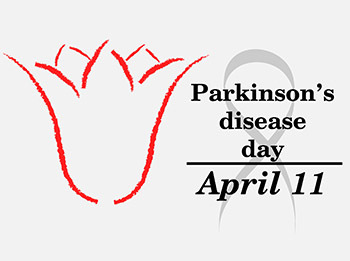 Estimates of the number of people living with the disease vary, but recent research indicates that at least one million people in the United States, and more than five million worldwide, have Parkinson’s disease, according to the website for the Michael J. Fox Foundation for Parkinson’s Disease. Parkinson’s results from the loss of cells in various parts of the brain, including a region called the substantia nigra. The substantia nigra cells produce dopamine, a chemical messenger responsible for transmitting signals within the brain that allow for coordination of movement. Loss of dopamine causes neurons to fire without normal control, leaving patients less able to direct or control their movement. A Parkinson’s diagnosis can be frightening to face, especially if you encounter others in the later stages who experience involuntary flailing or jerking body movements or the sudden inability to move. “Awareness of such severe symptoms can understandably be upsetting, but remember that Parkinson’s disease is highly individualistic and your disease may never encompass any of these symptoms,” the Fox Foundation website states. Parkinson’s is a condition we see residents struggle to cope with in our Assisted Living Community. Our facilities can often give the person with Parkinson’s and their family a sense of peace of mind because of the fact that we have staff ready to offer assistance to those in need, and many of our residents struggle with their balance and moving around. We already provide railing and other tools to lower the probability of falls. As symptoms worsen, loss of balance can cause falls that result in serious injuries or death. The seriousness of these incidents depends greatly on the patient’s age, overall health, and disease stage. Our staff offer assistance with activities and tasks of daily living, medication administration, and 24/7 licensed nursing staff on hand. Let us know how we can help!